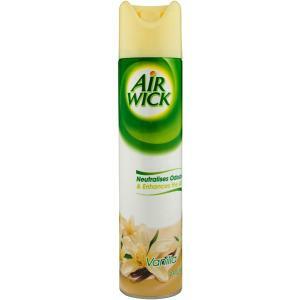 Air Wick aerosols act in seconds to neutralise unpleasant odours, enhancing every room of your home for up to 1 hour. Mouth-watering vanilla, silky smooth cream and subtle spices create a warm, inviting welcome to your home. Finish have a range of products to suit your dishwashing needs. Finish Concentrate Powder, All-in-One Tablets, and Quantum Tablets cater to cleaning your dishes while Rinse Aids and Dishwasher Cleaners offer superior shine, drier glasses and fresher, cleaner dishwashers.